The term designations are of two kinds: there are three Sources and six Steps . 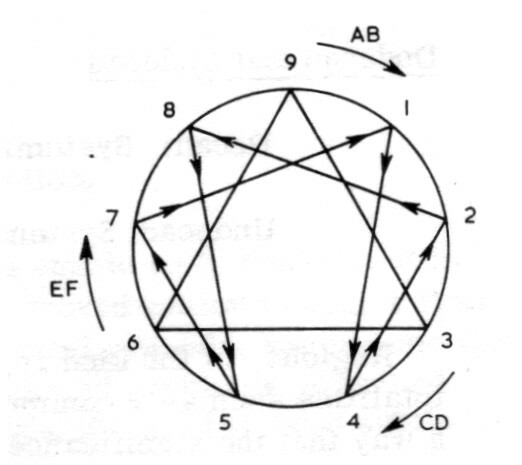 Note: The personality enneagram comes out of a much different tradition than Bennett's systematics and the Gurdjieffian Enneagram. As a number of us who have worked with the 9-point system have said, the approach is deeply flawed because it places types at the 3-6-9 position--simply not possible in the Gurdjieffian understanding. Newcomers to Systematics are advised to initially study the core works. Later, interested parties can begin to understand differences of approach and results.